Beauty < Immortality, Langlands & Bell, 2016 Piccadilly Circus station, commissioned by London Transport Museum and Art on the Underground. Photo: Thierry Bal, © TFL. 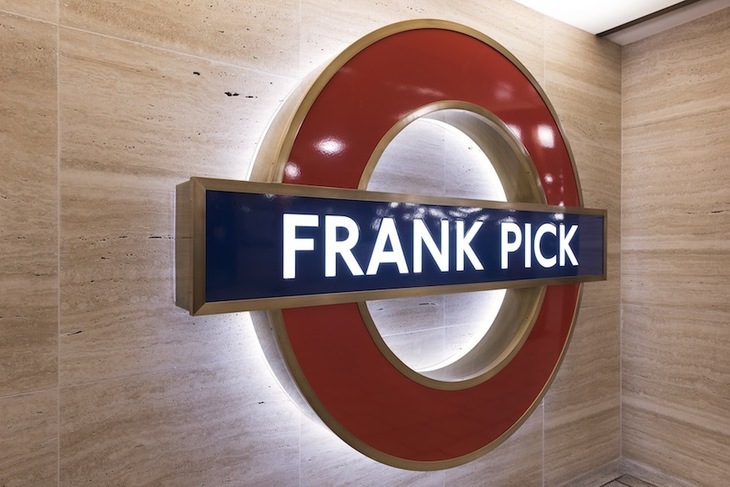 Seen the Frank Pick roundel at Piccadilly Circus station? 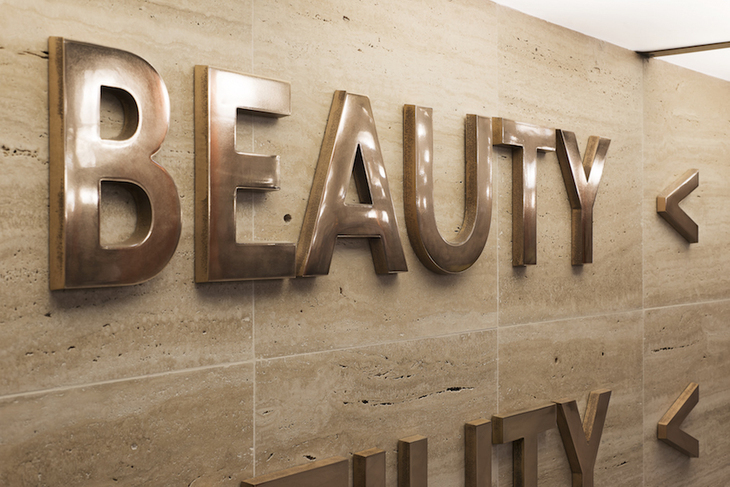 The piece, called Beauty < Immortality is by BAFTA award-winning artists Langlands & Bell and marks the 75th anniversary of Frank Pick's death. 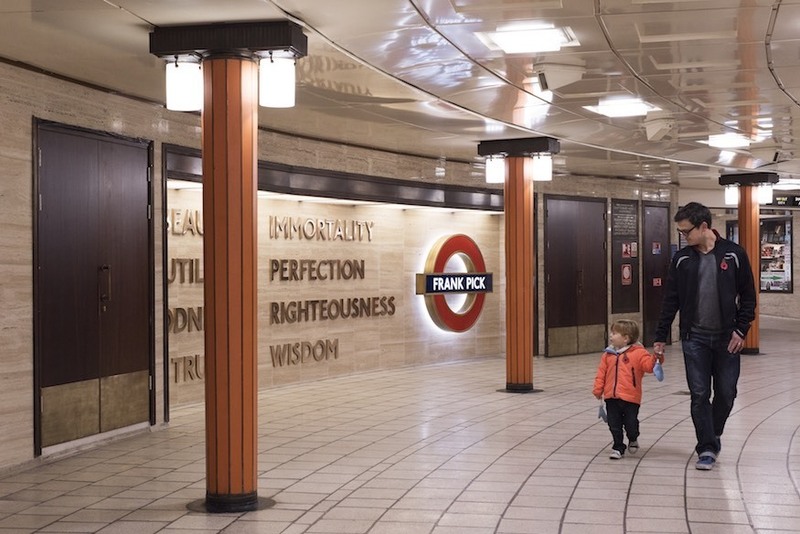 The words are accompanied by a roundel emblazoned with the name Frank Pick. Beauty < Immortality’ (detail), Langlands & Bell, 2016 Piccadilly Circus station, commissioned by London Transport Museum and Art on the Underground. Photo: Thierry Bal, © TFL. Frank Pick was managing director of London Underground in the 1920s and the first chief executive of London Transport. He commissioned, and helped evolve, London's iconic Underground designs, including the famous bar and circle logo known as the 'roundel', as well as many of London Underground's art deco stations. Pick also commissioned the font Johnston which is still used, in an adapted form, across London's transport network today. In short, Pick is the chap responsible for much of the way the London Underground looks and feels, even today. The artists were inspired by Frank Pick's own handwritten notes, which can now be seen in the London Transport Museum. The text relates to Frank Pick's philosophy about beauty, utility, goodness and truth, and underlines artists Langlands & Bell's shared conviction that the quality of our surroundings contributes decisively to our quality of life. The artwork is supported by Bouf.com, the gift and interiors retailer. Beauty < Immortality (detail), Langlands & Bell, 2016 Piccadilly Circus station, commissioned by London Transport Museum and Art on the Underground. Photo: Thierry Bal, © TFL. The artwork is a rather beautiful, incredibly simple concept. Piccadilly Circus station is one of the stations Frank Pick commissioned, from British modernist architect, Charles Holden.